It’s not too early to think about Frugalista Gifts for your soon-to-be graduate. I came across a great one. One that can even be given to those graduating into high school. 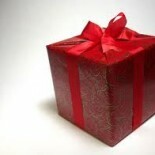 A gift that keeps giving. 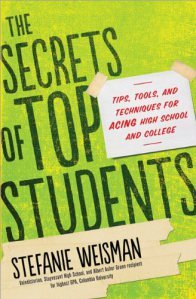 Stefanie Weisman’s The Secrets of Top Students: Tips, Tools, and Techniques for Acing High School and College. This book makes an excellent graduation gift. 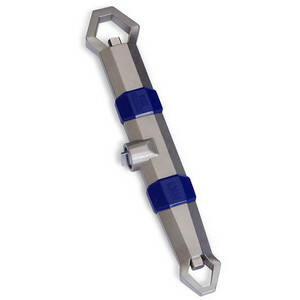 $15 regular, currently on pre-order sale for $9. It makes a great solo gift or as part of a bundle. Stefanie knows all about being a top student–valedictorian in high school and the highest GPA in her class at Columbia College. All this resulting from an undiagnosed learning disability. The Secrets of Top Students shows students how to maximize learning and get the grades they want. Get all of the details at Stefanie’s blog Valedictoriansguide.com. Go here to pre-order The Secrets of Top Students before May 7, 2013. Or, to simply order after that. Your grad will be grateful. Plus, you’ll be making a great contribution to society! For more Frugalista Grad gift ideas. check out 25 FRUGALISTA GIFTS: FIND THE PERFECT FIT FOR YOUR GRAD for ideas like the Omron Electronic Bodyfat Analyzer, the Sharper Image® Sleep Sounds Music and Alarm Pillow, and the Hydrokinetic Adjustable Wrench. option. College kids gain on average about ten pounds the first year. True, it’s a great gift for the kid with the right personality. Thanks for stopping by! Do come again. This entry was posted on April 9, 2013 by frugalistagiftguide in Uncategorized and tagged Frugalista gifts, graduation, learning, Secrets of Top Students, Stefanie Weisman, students.